Last week-end, Kaity went on a Spring Retreat with her Jr. High youth group. This was on the group leader's facebook. Kaity was contemplating something being said during the devotion time. I think it's my new favorite picture of her. 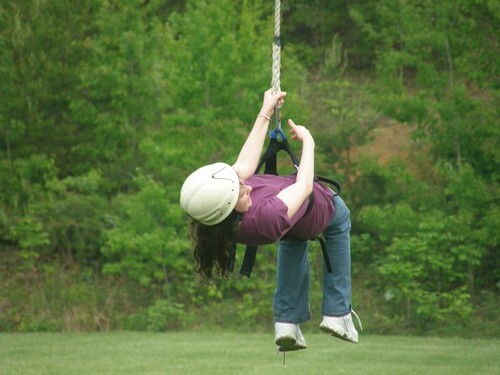 At the retreat site, there was a 650 feet long zip line. There isn't a Depends in this world, big enough for me to fly down that!